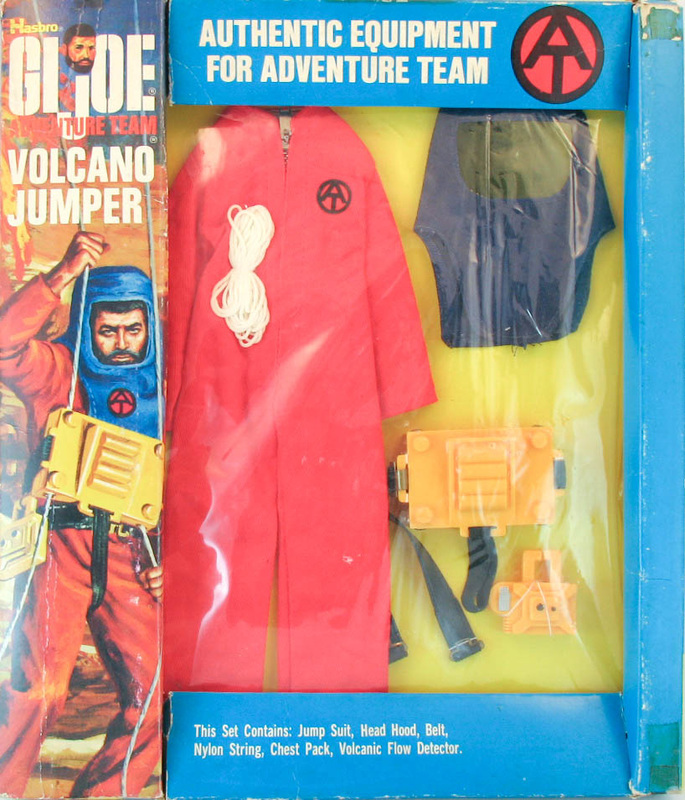 Using a classic climbing toy device, Volcano Jumper (7344) takes Joe into the depths of a crater to measure lava flow. The blue fire hood can be found with both a clear and a yellow tinted face mask. 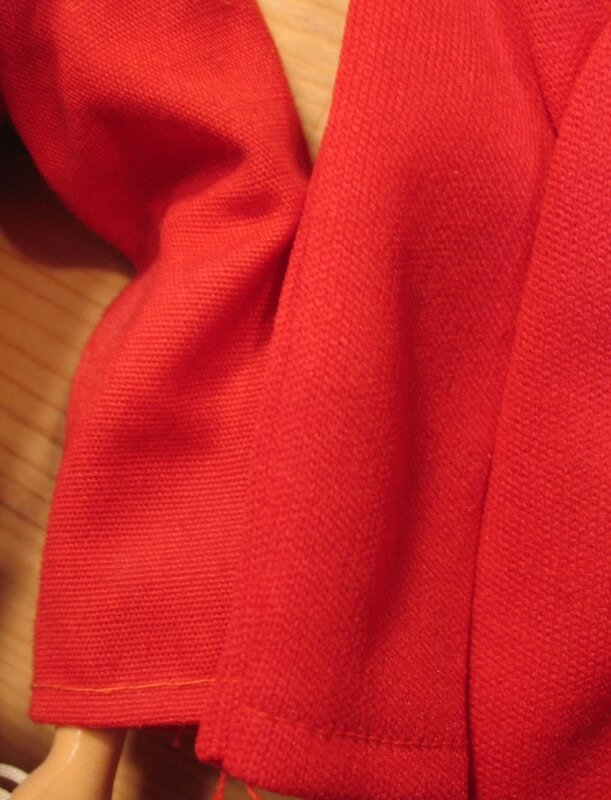 Below, a variation of the Volcano Jumper suit sewn in a lycra-like stretch fabric. It is unknown whether these suits are early or late versions, though they seem to be earlier in the run. The photo on the right compares the suit to the standard issue cotton/poly blend. Suit shared courtesy of Joezeta.